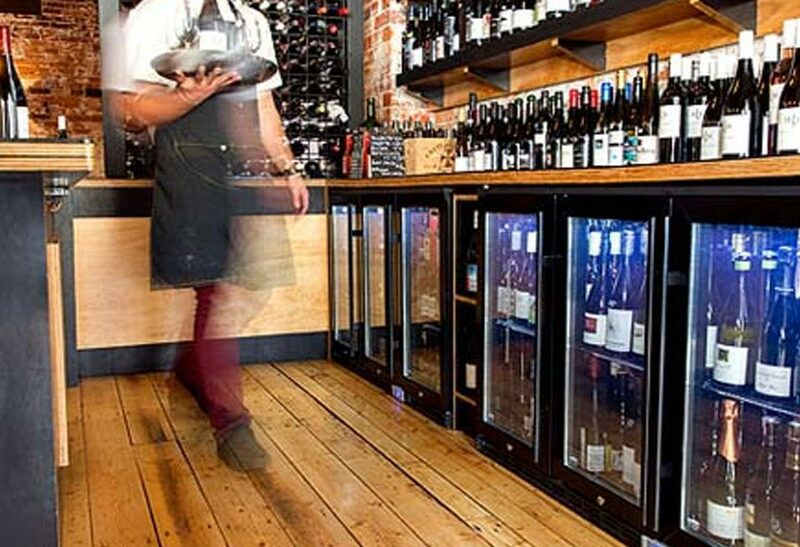 An amazing beer-making machine that has been developed in South Australia may revolutionise the art of home brewing. BrewArt has been continually refined over the past eight years by Australia’s only major independent brewer, Coopers. The wi-fi equipped brewing system will allow users to create their favourite pilsners, stouts and IPAs at home by utilising a smartphone app to control both the temperature and the brewing conditions. The unit resembles a high-end coffee machine. Rather than the typical home-brew eyesore, this refinement alone could see our budding ale-makers return from banishment in the shed to claim a rightful place in our kitchens. The inventors claim that it takes the guesswork out of home brewing, however there’s still plenty of scope for people to experiment. Co-creator and marketing manager Scott Harris said BrewArt aimed to make the process “as simple as possible, without taking the science out of it”. 1. The Beerdroid – the receptacle in which the beer is brewed. 2. The Brewflo – the unit that stores and pours the chilled beer. The water and ingredients are added to the Beerdroid and brewed at a precise temperature appropriate for the particular style of beer. “You can control the whole process through the app,” Mr Harris said. The finished beer is transferred to a five-litre keg and stored in the Brewflo. 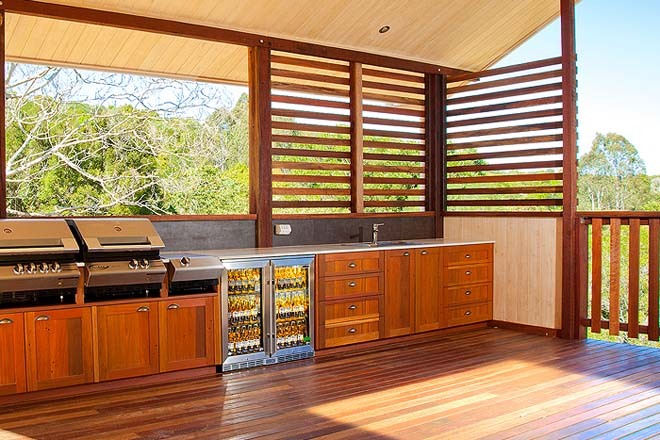 This unit has a pub-style tap and maintains the beer at the correct serving temperature. The ingredients for each brew can be purchased in separate components. These elements, enhancers, hop and yeast – and are known as Brewprints. “If the Beerdroid is the iPod then the Brewprints are the iTunes,” Mr Harris said. 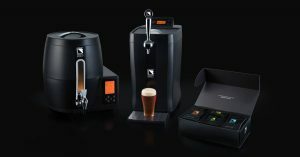 The Beerdroid will sell for $799 and the Brewflo will cost $699, with finished brews coming in at between $28 and $44 for 10 litres. “You’re looking at about the same price as a good coffee machine,” Mr Harris said. Two beers from the Brewart machine, a Czech pilsner and an American pale ale were tasted by an enthusiast from The Sydney Morning Herald. He made the following comments. 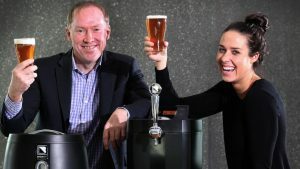 Harvey Norman will be the first retailer to sell all of the The Brewart equipment. The release date will be mid-July of 2016.